SEO Empire is a complete enthusiastic and passionate team which has years of experience in driving the companies to succeed in their marketing motives. SEO Empire is led by the managing director, Craig Winder who mentor the team members as well as the high level and budget projects. We offer you the desired expertise with full time achievable services. The company has the motive to get your website on the top of search rankings resulting in the increase of your profits. The reputation of the company lies in the appreciation and word of mouth that it achieves from you after your working experience. Thanks SEO Empire! Right at the top of google!! 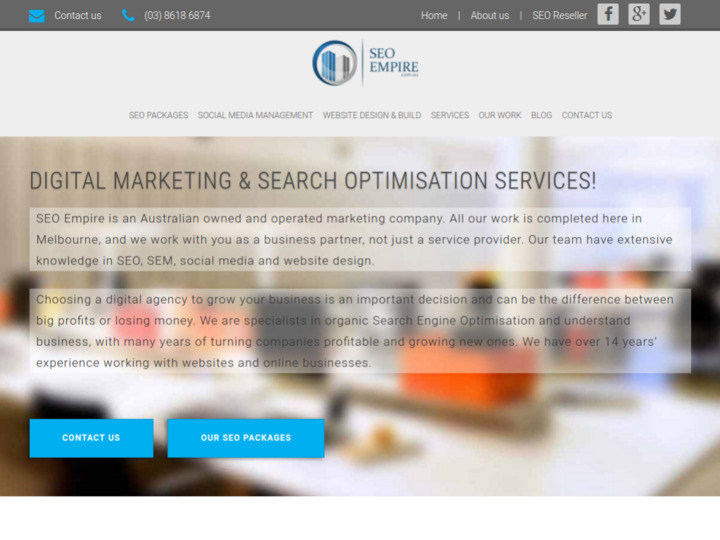 SEO Empire were hired to assist me grow my business and restore my rankings after taking on a bad SEO company. Within 4 months we started to see an increase of traffic and shortly after sales. Nearly 8 months in business has never been better and sales are soaring. Our search traffic is growing monthly and we look forward to the rest of 2015! SEO businesses get quite a bad wrap and for good reason, Cowboys is the term used. I can't say this about Craig and SEO Empire. Out of all the companies I got quotes from, Craig stood out. Firstly he actually called me when the 5 others emailed me. Secondly he wanted to know aboiut my business not just tell me about his services. Thirdly he guaranteed results. This seems to be sore point as one company said that they wouldn't but still wanted me to spend $1600 a month. SEO Empire provided me as much tech insight as I wanted, gave me case studies to prove their work and have been friendly, consistent and reliable. 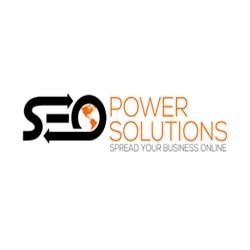 Can not recommend them enough, in fact I have been referring SEO Empire to everyone I know!! Craig and the team at SEO Empire have completely turned around our website and made it work for us. In the first 12 months of working with the team, we increased our client base by over 50% with customers from our website alone! We have dealt with other SEO companies in the past and were severely disappointed at their lack of enthusiasm. SEO Empire make you feel like you're their only client. We have referred many clients to SEO Empire and they all say the same. From the first meeting Craig took the time to listen to my aims for my business and then explained the best way to promote my business in his area of expertise.. online. I am not a lover of computers or advertising, but I realise that having someone like Craig who believes in and understands social media is of paramount importance to your business in 2015. I can highly recommend SEO Empire for personalised, prompt and professional service. They are certainly not the cheapest, but you do get what you pay for and I think SEO are worth paying the extra... to get a great result! SEO have been really great to deal wth- transparent & responsive in their communication,highly preofessional, great value and a pleasure to work with. I highly recommend them to any business needing a new SEO provider. Craig and the team at SEO Empire are knowledgeable and have been very helpful in helping us build our business. SEO results have been good. We look forward to the launch of our new website; designed by the team at SEO Empire which looks and feels fresh, up to date and inline with today's expectations. I would have no hesitation in recommending SEO Empire. Best SEO company out there by far! They are honest and genuinely want your company to perform well. The team is always in communication with us and always return emails/phonecalls. Highly recommend!!! I first met Craig & the SEO Empire team about 6 months ago when I was interviewing prospective SEO companies to manage the SEO for a business that I was managing. SEO Empire were streets ahead of the field in terms of industry knowledge and communication skills, something our previous providers lacked. I engaged SEO Empire and the results were outstanding, almost overnight! I have since started my own business and once again I have selected SEO Empire. They have built me a fantastic mobile responsive website and are brilliant with both the on page and off page SEO. The communication is fantastic, with a response to any enquiry I have almost immediate. I can't thank the team enough and I look forward to continuing our working relationship well into the future. Craig and the team at SEO Empire have been very professional in helping me build my business. Results have been fantastic. They always return phone calls and emails and happily answer even the dumbest of questions. They really listened to what I wanted, I would not hesitate to recommend them. Craig and his team have done amazing things for my business. My web site looks perfect now. I am also ranking high in Google and the clients have increased significantly. My dermatology clinic has grown from a small practice, into a profitable medium size business in just under 12 months. I highly recommend SEO Empire - Thanks Craig! Craig really knows his stuff. His attention to detail and enthusiasm sets SEO Empire apart from the rest. Right from the very first meeting Craig displayed his vast knowledge on SEO and various techniques used to help boost the site up the rankings. It isn't a wonder why he offers a guarantee. I have already recommended to others.